Samsung is about to come in a windfall if the soon to be available iPhone X does well. Samsung is reported to earn as much as $110 per iPhone X sold. 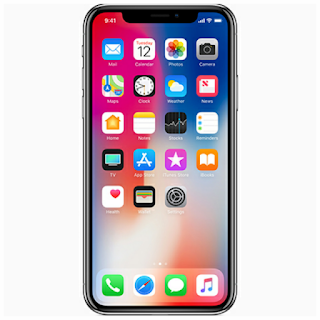 According to a report by Counterpoint Samsung, which makes the memory chips, batteries and capacitors in addition to the OLED display for the iPhone X, would make about $4 Billion which is a lot than it earns from selling its own Galaxy S8 smartphones. Although the Samsung Galaxy S8 brings in more money per unit ($202 per unit) for Samsung's components division, Apple is expected to sell about 130 million iPhone X as opposed to 50 million Galaxy S8 and S8+ devices. Apple's chip orders is reported to make a third of Samsung's total annual revenue.